A business delegation from India is expected in the country next week to explore business opportunities and potential partnerships in Papua New Guinea. 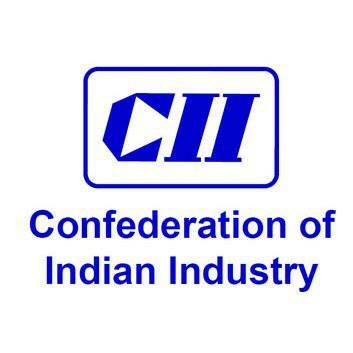 The 11-member delegation comprise of public and private sector members of the Confederation for Indian Industries (CII). The delegation will be led by Head of Pacific International Cooperation Desk (PIC desk) Subha Ranjab and includes a former Union Minister and two women entrepreneurs who will arrive in Port Moresby on Sunday (February 14, 2016). CII is India’s premier business organization with about 8,000 members from the private as well as public sectors including SME’s and MNC’s. It has an indirect membership of over 200,000 enterprises from around 240 national and regional sectoral industry bodies. CII works closely with the Government of India on policy issues, interfacing with leaders, and enhancing efficiency, competitiveness and business opportunities for various industries through the arrangement of specialized services and strategic global linkages. The Confederation is keen to develop business ties with PNG and the visit by the delegation is the first step in that direction. According to CII the visit is a prelude to the upcoming visit by the Honorable President of India to PNG. The visitors are interested in specific areas such as; Solar Energy, Healthcare, Multi-specialty Hospital/Health Tourism, Handicrafts, Petroleum and Natural Gas, Textiles, Food Processing, Agriculture and Tourism. Ms Subha Rajan is an inspirational and influential woman who is willing to speak on Indian Women in Business including the challenges and opportunities for them in India. The IPA is assisting to facilitate the visit alongside other inter-government agencies including the Department of Foreign Affairs, Department of Trade Commerce and Industry and the Indian High Commission. There will be seminar presentations by the IPA, Bank of PNG, Internal Revenue Commission, PNG Customs Services on doing business in PNG and PNG Chamber of Commerce & Industry will present on the business environment in PNG. There will also be site visits to the POM General Hospital and a clinic and also to Loloata Island Resort near Motupore. Indian investment in PNG has been growing steadily and in recent times has increased rapidly.